It's no secret I'm a bit of a nut for Christmastime (and if you've been a reader for awhile, you already knew I had a winter Colonial Williamsburg wedding)! 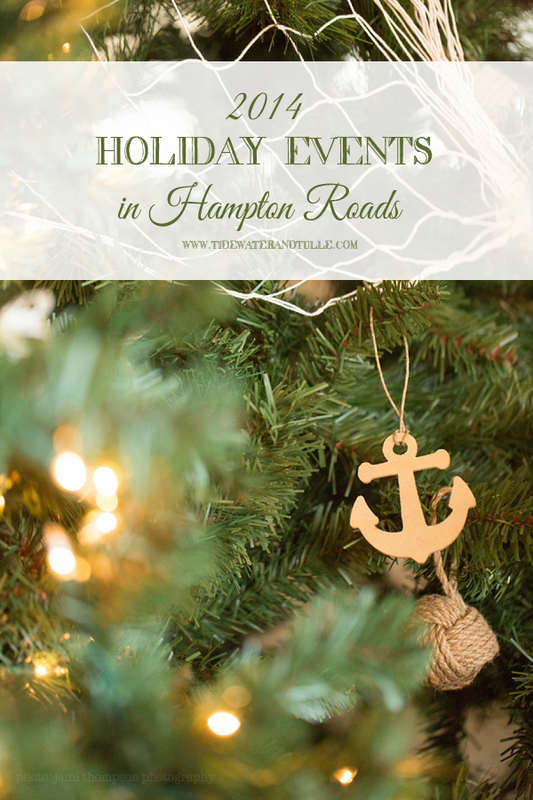 And I think winter makes for the coziest, magical, and best date nights ever, so I've rounded up the best local events happening this holiday season. What's your favorite kind of date night this time of year? Share your thoughts in a comment! Photo by Jami Thompson Photography. Stay tuned this December 11th to see this exclusive Tidewater and Tulle Nautical Christmas feature!